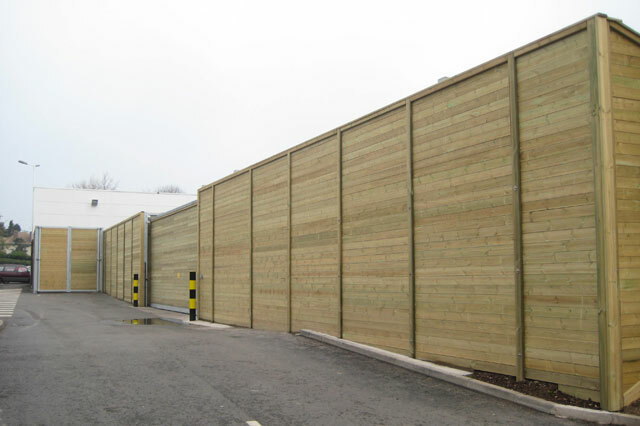 This Reflective acoustic system has been fully tested and certified and will meet the requirements of the local councils and planners up and down the country. 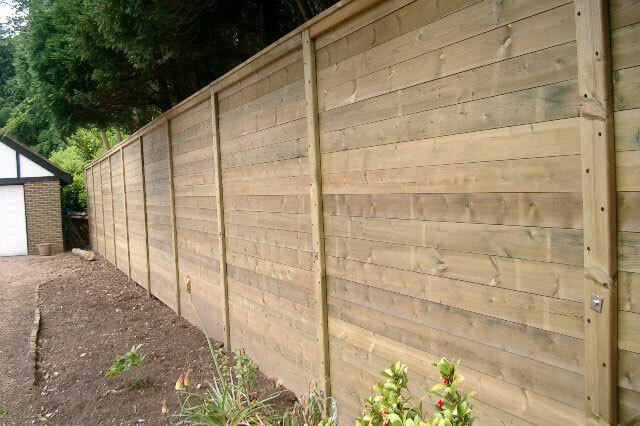 This system comprises of our unique timber 'tuning fork' design posts and 125mm boards featuring an interlocking "vee" coupled with a tongue and groove. 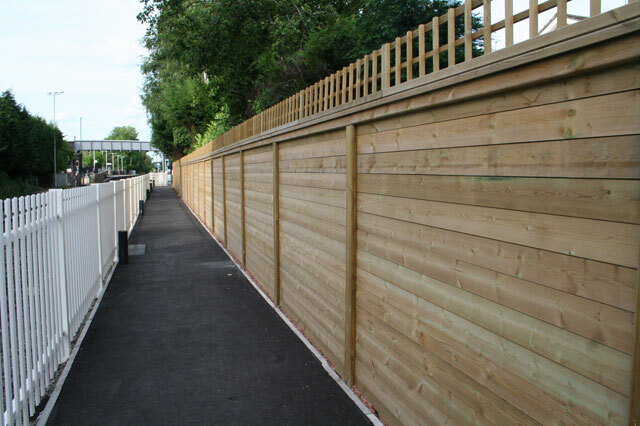 This special profile has been carefully developed to locate the boards in such a way that eliminates gaps that sound will easily travel through, even then boards shrink and expand with changes in the weather, the fence is finished with a capping and counter rail. 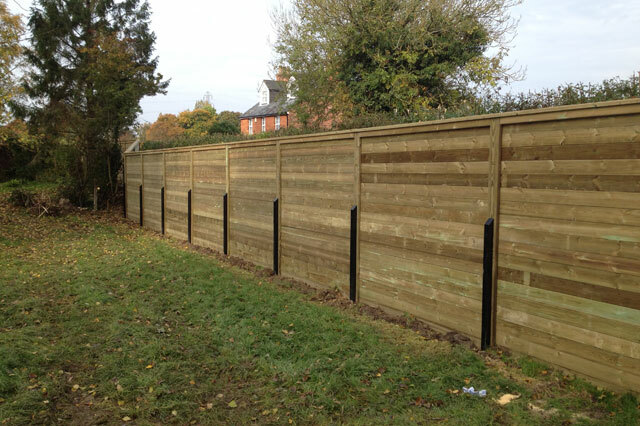 The barrier can offer up to a 28dB reduction in noise, is lightweight, easy to install and is able to be installed on uneven or sloping ground. 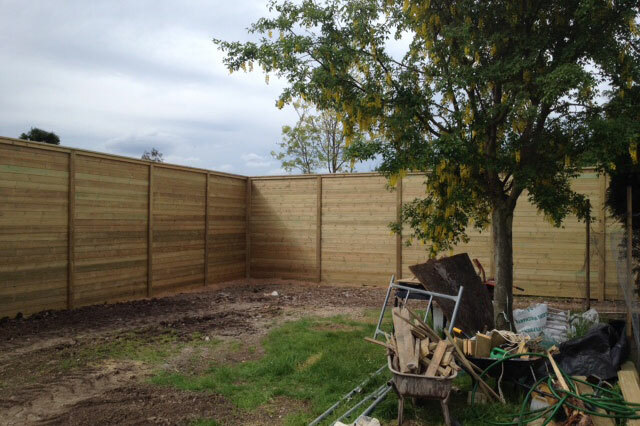 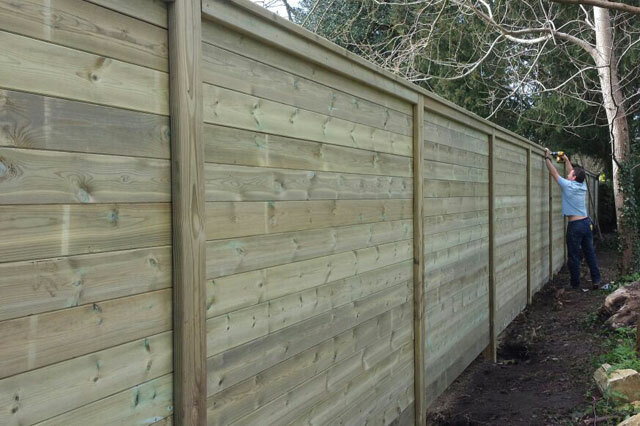 The timber posts used for most applications up to 4.0m high are the tuning fork design that traps the boards to provide continuous sound insulation. 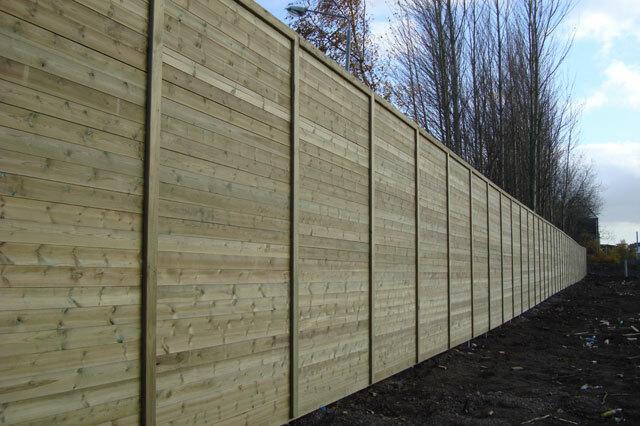 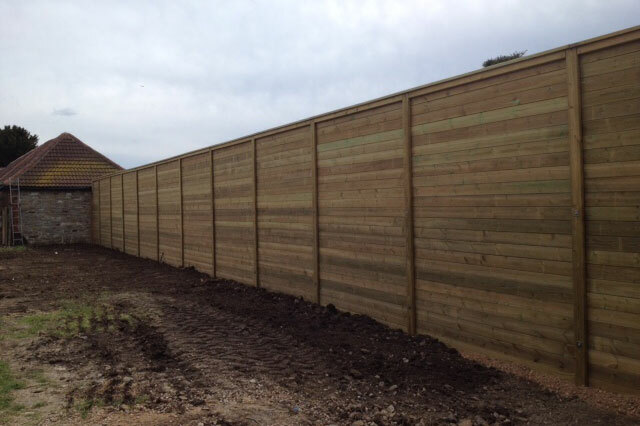 For barrier heights from 2.1m up to 4.0m the timber posts are reinforced with a 60mm square section galvanized steel spur, coated black which is attached to the back of the posts.